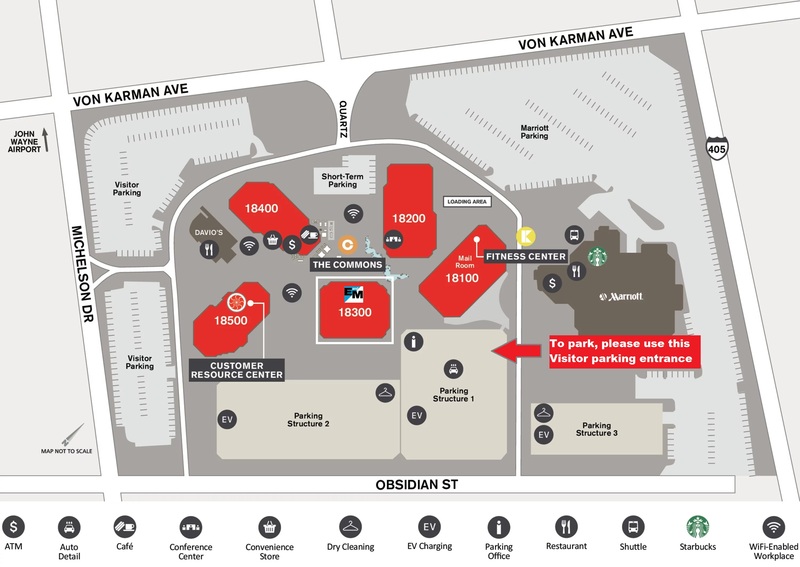 The closest visitor parking is in the parking structure that is located behind the building from the Von Karman street side. Customers who use this garage will receive free, validated parking. Be sure to bring your parking ticket to the office for validation! Our Southern California office, training and workshop classes are located on the 6th floor of building 18300 in Suite 640. The office is staffed during normal business hours. If you are driving, please allow extra travel time for traffic and parking. Detailed directions are below. The EandM Irvine Office will be located on your right at 18300 Von Karman Avenue.